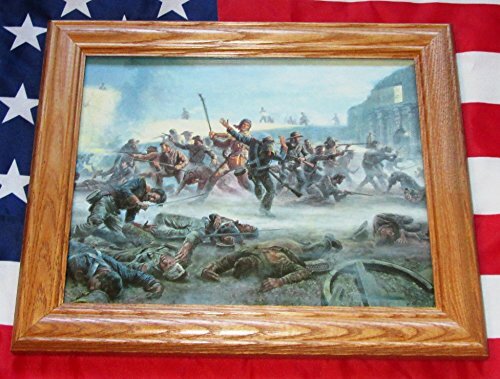 "THE ALAMO" This is a framed oil painting by Mort Kunstler known as "Fall of the Alamo". This is a print, not an actual painting. Shows the Battle on March 6th, 1835 with Davy Crockett defending in the center. This is in an American made 10" x 12" wood frame. . This item can not be found anywhere else. 100% MADE IN THE USA! If you have any questions about this product by USFlags11, contact us by completing and submitting the form below. If you are looking for a specif part number, please include it with your message.